Worried about the oncoming zombie apocalypse? Truthfully, we all are, but there’s no need to fear. After searching for the most indestructible vehicles money can buy, we’ve found one that stands out. 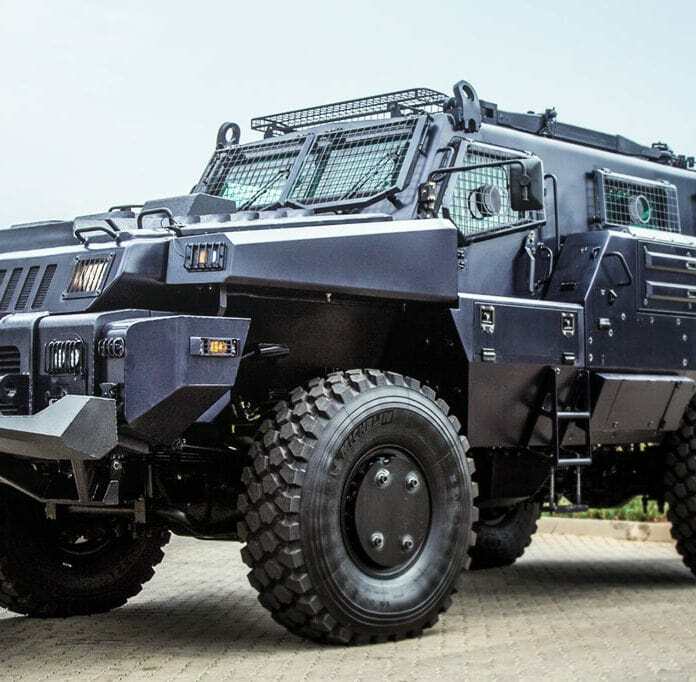 Meet the ‘Marauder’ armoured car, designed to take everything humans or nature can throw at it. With a top speed of 120 KM/H, this six-cylinder turbo diesel powered machine runs through walls at speed. Before we take a look at the demo videos, including live bomb explosions, let’s take a minute to appreciate all this vehicle has to offer. Looking at the specs for this dynamic beast is very impressive. Available in three ranges with various upgrades and bespoke add-ons, the Marauder is ridiculously durable. As standard these vehicles are designed to withstand incredible shock and keep going. Ballistic protection: STANAG 4569 level III (7.62 × 51 mm AP WC Core at 30 meters) and mine blast protection: STANAG 4569 3a and 3b (single anti-tank mine (8 kg of TNT under the hull and under any wheel). Available in 4×4 or 6×6. Currently deployed across the Middle East, the Marauder’s military vehicle is also available in a ‘civilian’ model. Wanting to buy one of these epic beasts? Better get saving, because it’ll set you back around $650,000 USD. What price can you put on your safety during the impending end of days? In closing, here’s undoubtedly the best Marauder review in the history of this vehicle. Since being released by Paramount Group in 2007, this vehicle has been operational in nine different countries.